Raj Narayanan interview in Singapore Media "The New Paper"
IT HAS been a week since the much-anticipated Tamil blockbuster of the year, Sivaji (The Boss), hit cinemas. the actor looks in real life. But hysteria over the film has yet to abate. Tickets for the film - which stars Tamil cinema's 57-year-old megastar, Rajinikanth cost a hefty $15 each. But they're still selling like hotcakes at GVYishun and the Plaza Theatre in Jalan Sultan. Sivaji was released on 14 Jun and is being shown on an estimated 750 screens from Singapore to the US. 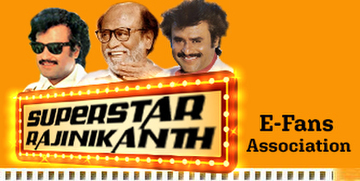 Local distributor Ayngaran International could not provide the figures for Sivaji's takings for the opening weekend. In India, fans booked tickets for the movie two weeks in advance. And it's all due to Rajinimania. The star, whose real name is Shivaji Rao Gaekwad, has charmed millions of fans by playing the street-smart anti-hero and rabble rouser. The former bus conductor is also the highest paid actor in India with a salary of 160 million rupees. Bollywood superstar Shah Rukh Khan earns between 70 and 80 million rupees according to trade sources, cited The Hindustan Times. In Sivaji, Rajinikanth plays a rich Indian from the US who wants to do something good for the poor and the downtrodden. With three hours to fill, there will be the usual potboiler devices of a romance, plenty of songs composed by maestro ARRahman and dances in multiple locations around the world. There is also a villain who will put obstacles in his way and plenty of fight scenes (with the necessary dishum-dishum soundtrack). Local fan Raj Narayan, 38, a director in a software company, told The New Paper he has watched the film three times so far and is planninganother trip to the cinema. According to the Indian newspaper Business Standard, French hairstylist Sandrine Verrier Seth was tasked to come up with different hairstyles to make Rajnikanth look younger in the film. registered on the site with another 12,000 around the world. be the most expensive Indian film, beating Shah Rukh Khan's 2002 film Devdas, which cost 500 million rupees. It will be made in Hindi, Tamil, Telugu and English.